We at Smaat India have expertise and experience in all water needs, from potable water production to waste water treatment process including food & beverage and pharmaceutical industries. Our wide-ranging portfolio of water products guarantees the accurate specifications for each individual application. Apart from producing and supplying a wide range of water & air treatment products we also offer integrated solutions through turnkey services including design and optimization, customization, business procurement and production management, pilot testing, fabrication and installations. Smaat-Flow is a Revolutionary On-line Water Conditioner that uses Magneto Hydro Dynamics Technology, as a Natural Solution to all Hard Water problems. Smaat has always been focusing on developing innovative solutions to water and its related problems which are ecofriendly, cost effective and maintenance free. Smaat has always been focusing on developing innovative solutions to water and its related problems which are ecofriendly, cost effective and maintenance free. In this direction, Smaat has emerged with Smaat-Flow water conditioner which is a breakthrough in water treatment solutions. Smaat-Flow is a revolutionary on-line water conditioner that uses Magneto Hydro Dynamics technology, as a natural solution to all hard water problems. A powerful magnetic field is focused directly towards the water source and provides sufficient time to condition the whole water supply. Smaat-Flow does not require any salts, chemicals or power to function and the difference in water can be seen with in just few weeks of installation. - Reduced water tension normally saves dosage of chemical and soap additives. - Treatment does not change the water quality or content of life depending on the mineral and has no influence or increasing bacteriological factor. 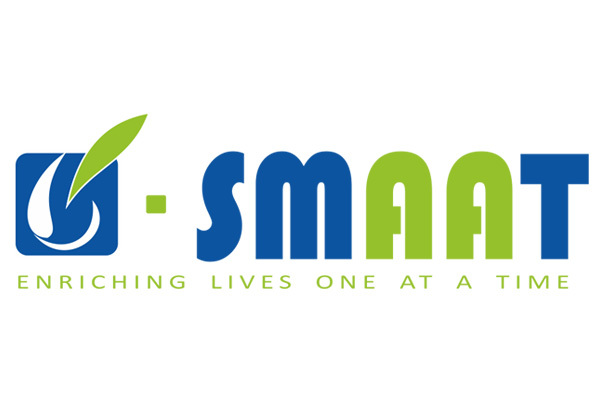 Smaat uses the latest RO Technology to give the purest form of water. We manufacture plants ranging from 250 LPH,500 LPH, 1000 LPH, 2000LPH even upto 10,000LPH. Smaat Reverse Osmosis water treatment systems are designed for diverse high purity water treatment applications for domestic, commercial and industrial applications with guaranteed optimal performance. Smaat Reverse Osmosis water treatment systems are designed for diverse high purity water treatment applications for domestic, commercial and industrial applications with guaranteed optimal performance. Reverse Osmosis is the most advanced and effective technology in the water reatment processes with most economic, effective and yet most affordable.This is quite a significant development in water treatment technology unlike the filtering processes. Smaat has its own manufacturing capability for designing and developing high-end models which will produce the output ranging from 1000 Liters to 10,00,000 Liters per hour. - Hospitals and Laboratory Applications. - Chemical and Cosmetic Processes. Ultra filtration (UF) involves pressure-driven separation of materials from a feed solution. The technology is used to remove particulate and microbial contaminants , but it does not remove ions and small molecules. Pressure drives the process, which typically operates with a feed pressure of 4 to 100 psig. UF plants are automated and have low operational labor requirements. Ultrafiltration (UF) involves pressure-driven separation of materials from a feed solution. The technology is used to remove particulate and microbial contaminants, but it does not remove ions and small molecules. Pressure drives the process, which typically operates with a feed pressure of 4 to 100 psig. UF plants are automated and have low operational labor requirements. These systems, however, can require frequent cleaning. UF membranes have a service life of three to five years or longer, which is comparable to reverse osmosis membranes. UF modules are commercially available in tubular, hollow-fiber, plate and frame, and spiral wound configurations. Nano filtration is a pressure driven separation process. The filtration process takes place on a selective separation layer formed by an organic semipermeable membrane. The driving force of the separation process is the pressure difference between the feed (retentate) and the filtrate (permeate) side at the separation layer of the membrane. - Dead-end micro filtration with short regeneration times. - Doesn't use additional cleaning chemicals. - High flow throughput and dry concentrate. - Pressure < 4 bar. - Totally made from SS. Smaat UV Filtration works on the principle of UV rays passing through water. Smaat has brought UV Filtration using the current cutting edge technologies from conventional UV Systems. - UV is nature's way of purification. - UV is a band of invisible light in the electromagnetic spectrum. - The UV spectrum belongs to a range of 100-400 nm wavelengths..
- UV is used strictly to provide bacterial disinfection in water. It does not change. The physical or chemical characteristics in water at all. - UV provide disinfection on contact, it does not have any residual properties left in treated water at all. - UV is used to provide a very high disinfection efficiency (Upto 99.99% in a properly designed & sized system). Smaat has introduced Solar based ozone treatment plants for disinfection of drinking water and waste water. This can disinfect any type of viral, bacterial contamination in any kind of application and any required volume (10000m3/hour).Ozone is a triatomic allotrope of oxygen formed by the recombination of oxygen atoms. This additional atom makes ozone a very strong disinfectant, a powerful deodorizer and potent oxidizer. The by-product of ozone reaction is oxygen. Pressure Sand Filter is an ideal solution for the systems with high sediment, silt, sand, and turbidity. Our Sand filters are well established in media filtration technology. By means of providing the sand filter it holds the physical impurities like dirt, dust and mud etc. The pressure sand filter which is provided with top mounting multi port valve. It is useful to cleanse the media whenever it is saturated. Pressure sand filter is highly recommended for the removal of suspended solids & undissolved impurities like dust particles & heavy metals etc. doing so it reduces turbidity. Pressure Sand Filter is an ideal solution for the systems with high sediment, silt, sand, and turbidity. Our Sand filters are well established in media filtration technology. The sand filters are specially designed to take care of the range of suspended impurities. Our unique design ensures the maximum utilization of the surface area, lesser pressure drop across the pressure bed and effective elimination of the impurities. The strength, stability and micro-porous character of filtration media make our sand filter suitable for virtually every application in the water treatment industry. Activated carbon filtration removes all chemical impurities and free gases from water. It is widely used in many water treatment systems. Water is passed through activated carbon to remove all chemical impurities like excess chlorine, color, bad odor and free gases from the water. Water is passed through activated carbon to remove all chemical impurities like excess chlorine, color, bad odor and free gases from the water. It is also provided with multi port valve to cleanse the media. Activated carbon is widely used in water filtration systems. Carbon is very effective at improving taste, removing chlorine and many other contaminants. A drawback to Activated Carbon is that its high surface area and the Carbon itself promote bacterial growth. Pseudomonas Bacteria has been found to grow in many carbon filters and activated carbon systems. Smaat India Pvt. Ltd. has designed Mobile Water Treatment Plant using its state-of-the-art technology that can be effectively used during the disasters. This plant can treat any kind of contaminated water and produces portable drinking water instantly. Mobile water treatment plant can be particularly useful at the time of disasters caused due to the floods and the contaminated water that is drawn in to the drinking water sources can be treated immediately on the spot. This is very effective as it not only desalinates the water but also prevents the spread of post blood epidemics. It also converts the brackish water containing Fluoride, Arsenic, Nitrate and Pathogenic bacteria in to portable drinking water. Smaat water purification technology effectively treats any type of contaminated water like septic tank discharge, grey water or silage, ground water infiltrated in to sewerage and black water, urban rainfall runoff from roads, car parks, roofs, side-walks (stagnated), sea water ingress (salt, micro-biota, high volumes), highway drainage (oil, de-icing agents, rubber residues), industrial site waste and drainage (silt, sand, alkali, oil, chemical), organic (bio-degradable – includes waste rom abattoirs, creameries and ice-cream manufacture) and inorganic (non-bio-degradable) contamination to mention a few. Mobile Water Treatment Plants are supplied to Government of West Bengal, OPTC Limited, Saudi Arabia and IBT international, Tunisia. - This treatment does not change the water quality or content of life depending on the mineral and has no influence or increasing bacteriological factor. - Produces portable water up to 2000 Liters per hour and produces 8000 pouch packets per hour. - Serves up to 1,60,000 people per day. - High Performance, Low Cost. - Maintains all standards of drinking water. Smaat manufactures Reverse Osmosis Technology based state-of- the-art Sea Water De-Salination systems for every application and in every size from 1 ton to 2,000,000 tons (about 200 gallons to several hundred million gallons) per day. De-Salination is a process that removes dissolved mineral (including but not limited to salt) from seawater, brackish water, or treated wastewater. RO is the most popular technology considered by municipalities, water districts, and private companies for development of Sea Water De-Salination all over the world. These reasonably priced systems are energy efficient, produce high quality, tasty, healthful drinking water from available sea water and offer reliable operation, low maintenance and low operating costs. Smaat advanced designs recover higher percentages of the fee water as good quality product water. Boiler feed quality may be obtained by using specialized Smaat equipment designed for that purpose, even from Sea Water feed containing up to 55,000 PPM TDS. Smaat has a proven expertise and extensive experience in desalting Sea Water. Its objective is to produce a waste stream (or treated effluent) and a solid waste or sludge suitable for discharge or reuse back in to the environment. This material is often inadvertently contaminated with many toxic organic and inorganic compounds. Sewage is created by residences, institutions, hospitals, commercial and industrial establishments. It can be treated close to where it is created (in septic tanks, b-io filters or aerobic treatment systems) or collected and transported via a network of pipes and pump stations to a municipal treatment plant.Sewage collection and treatment is typically subject to local, state and national regulations and standards, which Smaat fully implements and complies with. Smaat services in this area include the process and hydraulic design of water, ground water and effluent treatment plants, portable and pure water production plants, sludge treatment facilities for both municipal and industrial customers. The basic aim behind Effluent treatment plant is Recycling and Reuse of water. We offer a wide range for Industrial as well as for commercial purposes. We offer a wide range of industrial effluent treatment plants for application in processing industries and other manufacturing industries. These industrial effluent treatment plants are designed to provide a pollution free working environment and recycle the water for other applications. All the effluent treatment plants strictly comply with the design specifications laid down by the regulatory authority. The industrial effluent treatment plants involve different stages of treatment including physio- chemical treatment and biological treatment followed by tertiary treatment. Integrated functions with simple control make the operation much easier. Our engineers can also custom design effluent treatment plants based on the specific application requirement of the customers. This program is a total cooling tower water treatment management program utilizing advanced water treatment techniques in order to give customers higher performance cooling systems. The results are significant resource conservation, reduction in pollution, and cost savings. System performance is guaranteed.This program is administered under a service contract agreement. The agreements normally run for three years. The program includes providing the additional equipment, maintaining it, making monthly inspections and routine maintenance, and providing monthly reports. Coupons are provided to document the corrosiveness of the water. The heart of the water treatment system is the Oxion advanced electronic treatment system. Through electrolysis, saturated dissolved solids are converted into precipitate. This allows the metal salts to be removed before they would plate onto the cooling tower surfaces as scale. The precipitate is then filtered out by a multimedia filter. This process keeps the pH of the water high thus helping to prevent corrosion. Ion electrodes in the water treatment system combat microorganisms. Microorganism control is critical in order to prevent Legionnaires and similar diseases. When chemicals are used they need to be changed on a regular basis as the bacterial adapt to them. This risk is reduced as bacteria do not appear to adapt to copper ions. The multimedia filter filters out the precipitate from the water. It is equipped with pressure differential control. The filter automatically back washes when there is a pressure drop of 10 psi across it. - 100% bacteria is eliminated and further growth arrested. - Diseases like typhoid, gastroenteritis and cholera are avoided. - Due to surface tension changes effected, the waste matter and toxins from the body of the birds is attracted and gets them out the system. - Unwanted components in the water are not retained by the birds.Result is that birds utilize the feed better and the nutrient absorption improves. This reduces the feed consumption. - The treated water also keeps all the plumbing in the form absolutely clean of scale and this leads to increased life of plumbing. We at Smaat aqua provide Boiler water treatment using the principle of Reverse Osmosis process. Most of the projects are situated to suit the Industrial Needs. - Prevention of scaling in boiler. - Prevention of corrosion in boiler. - Prevention of stress corrosion cracking. - Prevention of steam contamination. A water softener system is a unit that is used to soften water, by removing the minerals that cause the water to be hard. Water softening is an important process, because the hardness of water in different applications is reduced during this process.When water is hard, it can clog pipes, damage boilers, heat exchangers, and many other devices. Water softening can prevent these negative effects. Hard water causes a higher risk of lime scale deposits in industrial, commercial and household water systems. Due to this lime scale build-up, pipes are blocked and the efficiency of hot boilers and tanks is reduced. This increases the cost of domestic water heating by about fifteen to twenty percent. Another negative effect of lime scale is that it has damaging effects on household machinery, such as laundry machines. Water softening using Pure Aqua water softener system expands the life span of each household machine, such as laundry machines, and the life span of pipelines. It also contributes to the improved working, and longer lifespan of solar heating systems, air conditioning units and many other water-based applications. Water harvesting is an important aspect of the generation present. Due to the scarcity of water, people face a lot of problem. Smaat has introduce a unique way of water harvesting that is Roof top model. Smaat has introduce a unique way of water harvesting that is Roof top model. Roof Top Rain Water Harvesting structures for individual households, which does not require any power. Hence, saving around 24 million liters of water per annum for drinking purpose and around 50 million liters for ground water recharging. Smaataqua has constructed Community Water ponds (Oorani), which can store 1.5 million liters of Water and presently serving a population of 4,300. This is a permanent and sustainable structure as it does not require any power for lifetime. Smaataqua has constructed Community Water ponds (Oorani), which can store 1.5 million liters of Water and presently serving a population of 4,300. This is a permanent and sustainable structure as it does not require any power for lifetime. Smaat provide design, project management and EPC services for solid waste management. Our technical and management teams are competent and experienced in efficiently in efficiently executing projects in solid waste management including master planning, treatment & disposal, etc. Our technical and management teams are competent and experienced in efficiently in efficiently executing projects in solid waste management including master planning, treatment & disposal, design & engineering of landfills, contaminant management, decontamination and restoration, environmental site assessment, due diligence audits and environmental audits. - Planning, design, construction and operation of sanitary landfills including gas and leachate control/recycle. - Design, engineering & construction of composting plants. - Waste to energy programmes / plants. Solar energy is the radiant light and heat from the Sun that has been harnessed by humans since ancient times using a range of ever-evolving technologies. Smaat has used this technology to the maximum extent. Solar radiation along with secondary solar resources such as wind and wavepower, hydroelectricity and biomass account for most of the available renewable energy on Earth. Only a minuscule fraction of the available solar energy is directly used by humans. Solar energy technologies can provide electrical generation by heat engine or photovoltaic means. Once converted its uses only limited by human ingenuity. A partial list of applications would include space heating and cooling through solar architecture, portable water via distillation and disinfection, day lighting, hot water, thermal energy for cooking.